The North Kildare Reapers Have been busy in their off-season securing a number of Experienced and rookie players in preparation for their First year in the SBC (Shamrock Bowl Conference). 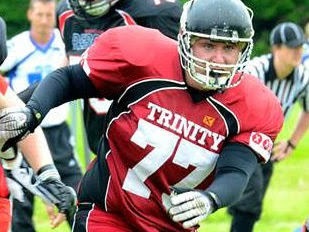 Experienced OL/DL Damien Gillesen (6 Years with Trinity College Dublin) has joined NKR in hopes of taking up a WR/TE/QB role. Experienced and Vicious DE James Lynam has come across from Tullamore Phoenix who sadly Folded last year. Same can be said for IAFL-1 veteran QB Erin Kelly, who has also Joined NKR this year is looking to break into the starting Offense for the Reapers who already boast Championship QBs such as Ciaran Heneghan and Luke Bailey. 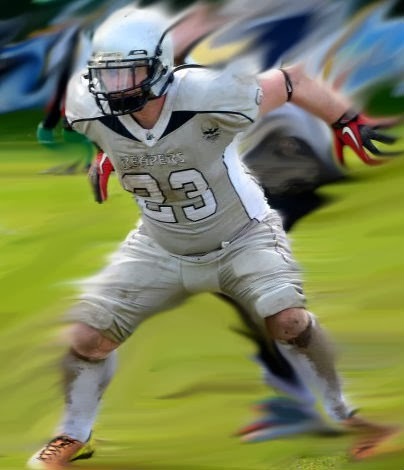 Powerful Antaine O'Conchuir also has answered the call and will help sure up the Reapers Defense as an LB coming from the Phoenix Also. with an already solid and experienced Defense these guys will be joining the likes of MLB Dave "Doc" O'Connor and last years Defensive MVP Andrew Birchall. A number of new Rookie receivers have been brought in to Plug the gap left by Mathew Hagan transferring to Dundalk Mavericks and some Receivers switching to a CB role. Coaching wise there hasnt been much change with Offensive CO-Ordinator Brendan McAleese securing the HC spot this year. Experienced Dutch Player/Coach Kees Groeneveld will Take special teams and join Reapers Legend Kevin Sharkey as OL/DL coach. Carl Ward, last year's HC/Defensive captain will step down as HC and take up a Defensive CO-Ordinator role. Assistant Coach David Perkins has also stayed on with a bigger role of Club Secretary for NKR football. There has been a major shakeup on the NKR board with all but one member being replaced due to time constraints. Paul Mckay (CO-Founder) has kept his role as Club Chairman for a 3rd year, Thomas Brocklebank has replaced Luke Bailey (CO-Founder)as Vice Chair for Luke to concentrate on his football as QB. Reliable Wide receiver Sean Leamy has stepped down as club treasurer to let Pamela Ward, with bundles of experience to take the role. Coach David Perkins has replaced Coach Michael Heneghan as Club secretary, and a new role introduced this year, P.R.O has been given to Mrs Orla McAleese who has a Biography of experience relating to events, Major Contacts in the Football world of America, General Management and Public relations. This year is an exciting prospect for NKR having only competed a year and have already won a Title and promotion.